Fort Myers, Florida – United States Attorney A. Lee Bentley, III announces the return of an indictment charging Angelica M. Morman (28, Fort Myers) with delay or destruction of mail. If convicted, she faces a maximum penalty of five years in federal prison. According to the indictment, on August 13, 2016, Morman, an employee of the United States Postal Service, knowingly destroyed, detained, and delayed approximately 418 pieces of standard and first class mail. 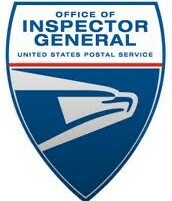 This case was investigated by the United States Postal Service, Office of Inspector General. It will be prosecuted by Assistant United States Attorney Yolande G. Viacava.